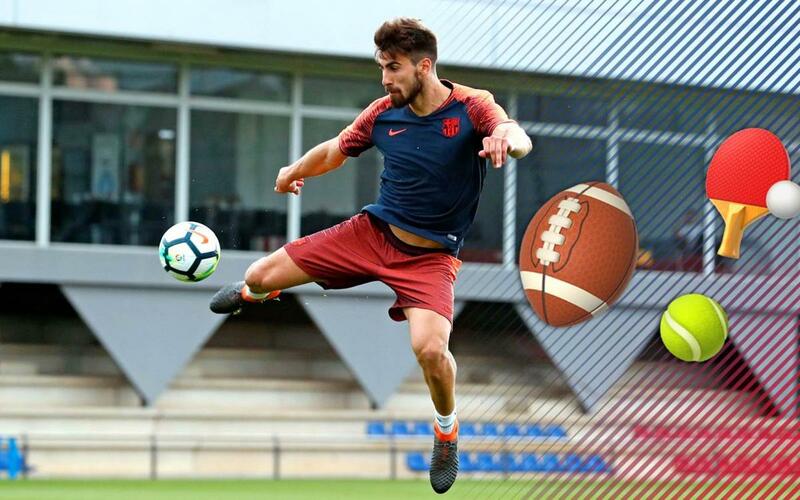 Secret Box: André Gomes takes the challenge! The Portuguese midfielder puts his skills to the test by trying to juggle three different balls — but not the ones he's used to! It's time to see if Andrés Gomes is up to the challenge! Following in the footsteps of his blaugrana brethren, Philippe Coutinho and Yerry Mina, Barça's Portuguese midfielder will try and juggle what's in the box! Gomes doesn't know, of course, exactly what he'll be juggling until opening it. The only thing we can tell you is that there will be balls from three different sports — and not the one he plays for a living! So check out the video and see how he does!